Wear green. Hug a leprechaun. Kiss someone Irish. Have a beer. I have to confess something here…I hate beer. Never liked the taste of it. Don’t get me wrong, I’ll drink wine, cosmos, Smirnoff ice, long island ice teas, whiskey sours…sigh, the list goes on…but I just never got into beer. Well, there is one beer that I will drink …. Half expected something on the lighter end of the spectrum? Odd, I know. 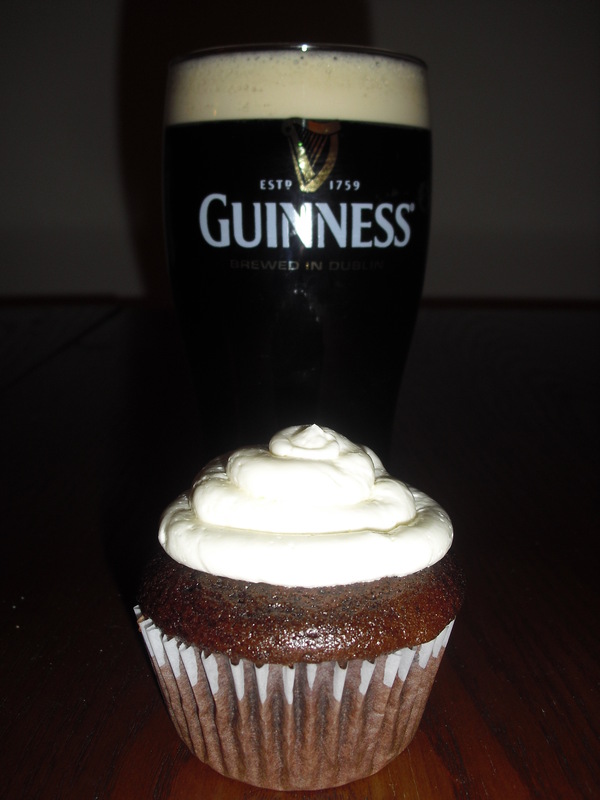 And in honor of St. Patty’s day I wanted to incorporate this cool, black liquid into a chocolate cupcake. When I told my chocoholic Irish husband that this would be my next baking project, he literally jumped in the car to buy me several cans of the tasty beer. I used up nearly an entire can of Guinness (the 1/4 of the liquid left over was promptly swallowed up by hubby). Mixing in all the liquids together, you’re left with a light brown, fizzing concoction that smells faintly of beer and coffee (to me at least). 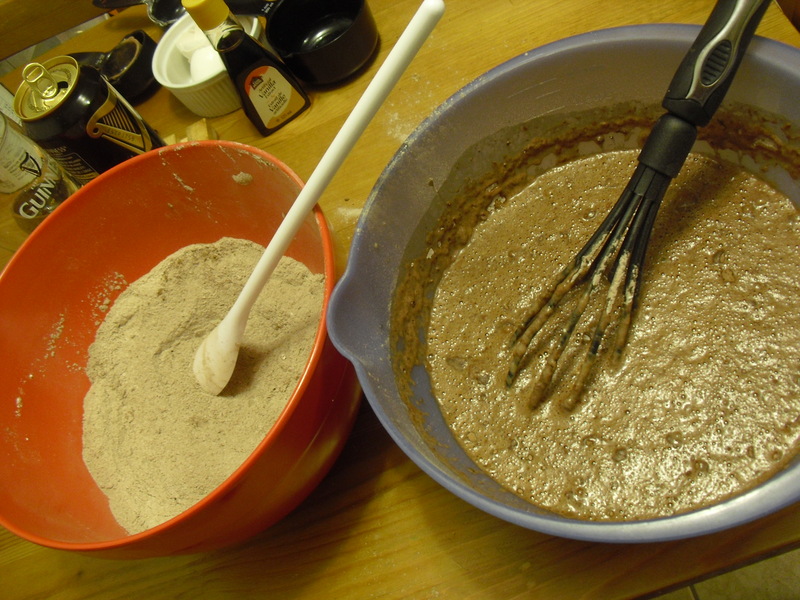 In a separate bowl, all the dry ingredients were added – including the unsweetened cocoa powder. 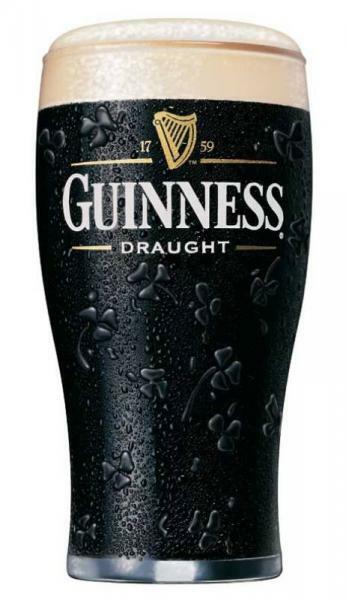 Adding dry to wet, I can still smell the prominent alcohol smell of the Guinness and wonder if this will be as strong as it smells once it bakes…. At least I know it will be “airy” – see the bubbles in the batter? Once it finished baking (the recipe ended up making approx. 27 cupcakes), my kitchen was warmly overwhelmed with the subtle, sweet smell of chocolate. No strong beer smell emitting itself from these warm brown cakes. Phew! Allowing them to completely cool, I decided to top them off with the Swiss Meringue buttercream. I debated if I should food colour them green. ‘Tis the season….. My husband immediately nixed the idea, noting that a pint of Guinness has a white foamy head when poured. Ahhhhhh!!! Chocolate cupcake with a white, “foamy” topping. See the connection?? The cupcake itself tastes wonderful. It isn’t overly chocolately and it’s delightfully light and airy. The taste of Guinness is nicely subtle and balanced. It works well with the swiss meringue buttercream also. Will definitely have to bake this again for other non-green related holidays. Hubby is ecstatic! Everyone raise your cupcakes! Cheers!! In a large mixing bowl, combine the Guinness, milk, vegetable oil and vanilla. Beat in the eggs, one at a time. Add and mix the sour cream. 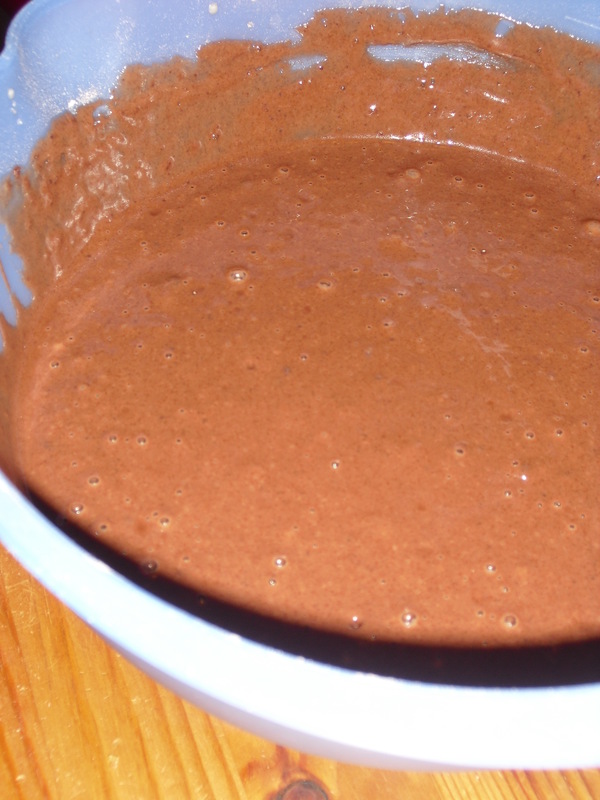 In a separate large mixing bowl, whisk together the cocoa, sugar, flour and baking soda. Gradually mix the dry ingredients into the wet Guinness mixture. Divide the batter among lined cupcake tin. 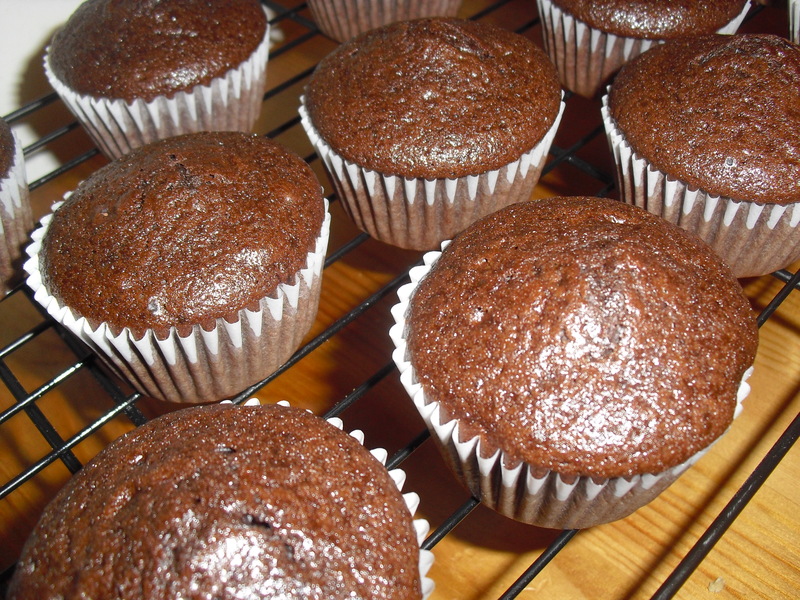 Bake for 25 minutes, until cupcakes have risen and set in the middle but still soft and tender. Allow to cool completely before frosting.